Our parent company began in 1982 with the processing of purchased plastic sheets into layer pads. These were at the heart of returnable packaging system for the safe and hygienic transportation of glass containers and beverage cans. Solid plastic layer pads were, and still are an effective replacement for disposable cardboard packaging. 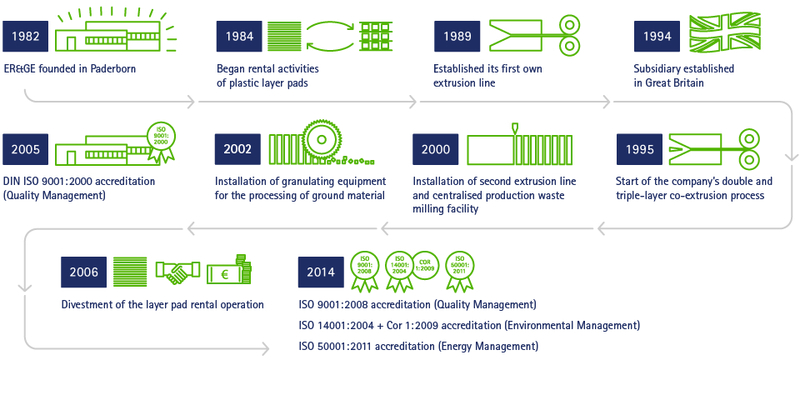 Below is a timeline illustrating how the company developed into its current position as a world class independent manufacturer of premium quality extruded plastic sheet products. ER&GE (UK) Limited was established as a fully owned subsidiary in 1994, to handle the growing demand for plastic layer pads in the UK. In 2000, the Leeds based company began marketing plastic sheet products in earnest. This activity grew rapidly and the company now imports, stores and distributes materials that were extruded in Paderborn. ER&GE (UK) Limited carries a wide range of standard sheet products in stock. ER&GE offers its customers semi-finished plastics tailored for exacting applications: customised PP/PE. These take many forms; extruded sheets and rolls for printing, thermoforming, mechanical processing, lasering, fabricating, adhesion or welding; and of course layer pads. This often involves project management; working closely with customers to reach an effective method of creating a finished product. 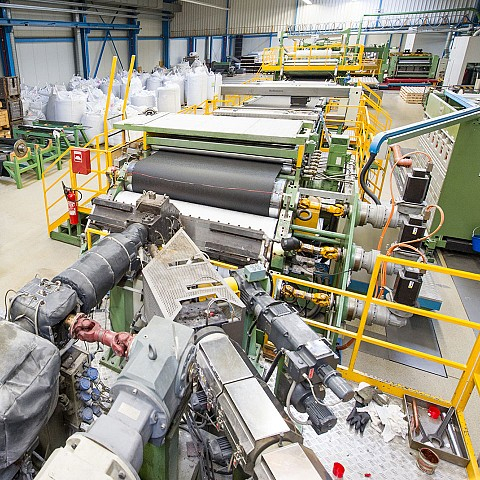 As an independent manufacturer of customer and application-specific extruded polyolefin sheets and film, ER&GE's main markets are in Germany, UK, Scandinavia and wider Europe. The manufacturing facility, located in the Mönkeloh industrial zone of Paderborn covers 16,000m2. The production and storage areas total 5,500m2. Five silos store the most commonly used raw materials. Two 'state of the art' production lines extrude polypropylene and polyethylene into sheets and films. A multitude of production options are available with each line being equipped to co-extrude, laminate, emboss, cut, shape, stack and roll. All processing is carried out internally. We're fully equipped for milling, grinding, processing, compounding and pre-drying of raw materials as well as the recovery of production waste. Precise small cuts can be made using a polar cutter. Practically all residual material from the manufacturing process is recycled internally. Finished products are packaged to a high standard and stored safely in climate controlled warehousing. A large number of our products are used in the food industry, therefore ER&GE ensures the highest possible hygiene standards. We continue to build on our extensive knowledge of road haulage, gained during logistical support of our layer pad operations. The company operates a fleet of heavy goods vehicles for the safe handling and prompt delivery of our products. 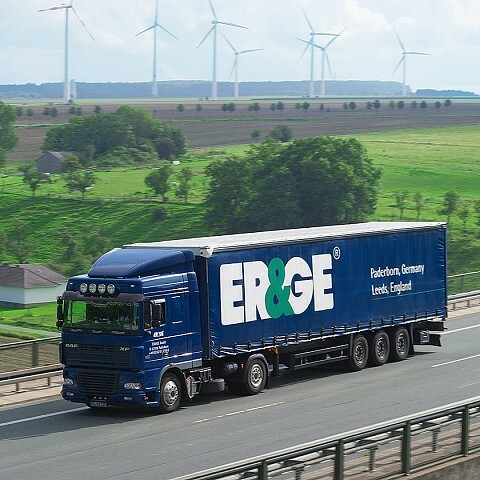 ER&GE (UK) Limited offers general road haulage services to a number of customers and is a member of the FTA. Layer pads are still being developed with a variety of technical characteristics, dimensions and finishes; these are supplied to external users of layer pads and layer pad pool operators.